I posted about this project a few months ago while a work in progress that’s finally done. Actually, I finished it a long time ago, but somehow never got around to finishing off the seam. 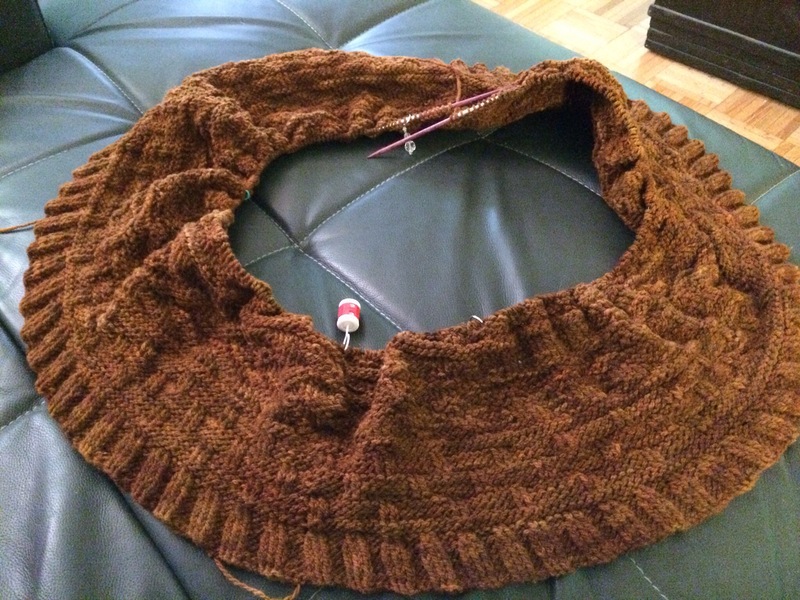 The original pattern I think was made with a softer yarn so it doesn’t lay as flat. The wool is a little bit scratchy at the moment, hopefully it will soften after I wash it & look forward to wearing it when cold weather returns. 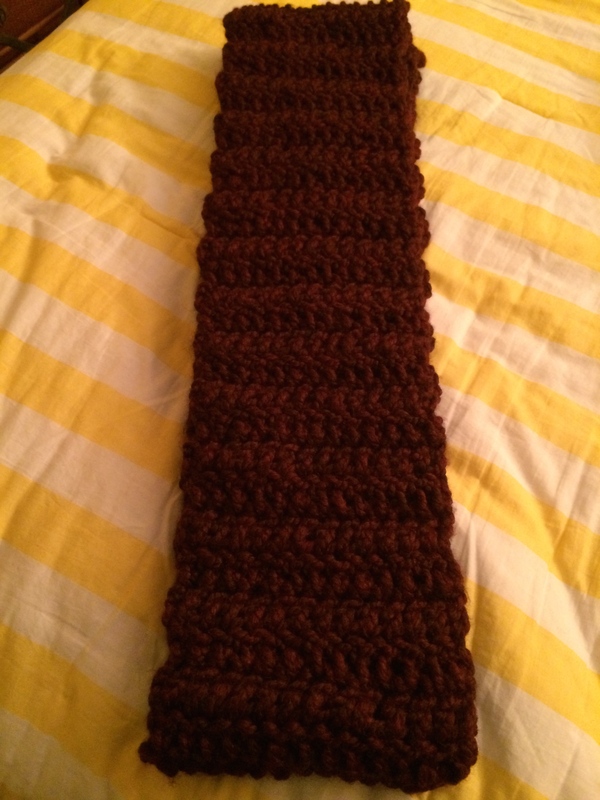 One of my aims was to get back into doing some crocheting this year and I did with this pattern I found on Ravelry. I used some thick Lion Brand wool yarn I bought at Michael’s a few years ago that I couldn’t quite find the right pattern for. This will be perfect for those really cold days. It’s so thick I will have to wear it outside my coat. Still have some leftover yarn, maybe enough to make a matching hat. 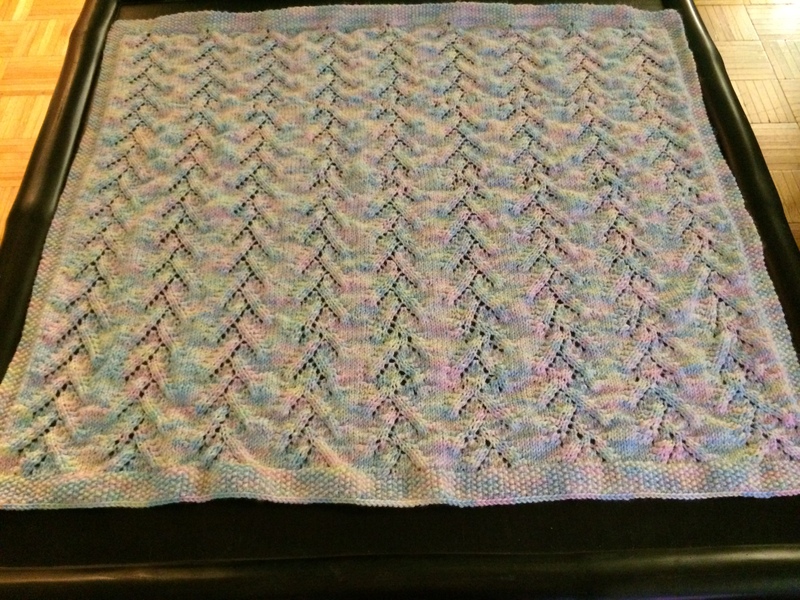 This baby blanket was made at the request of a coworker who was pregnant. 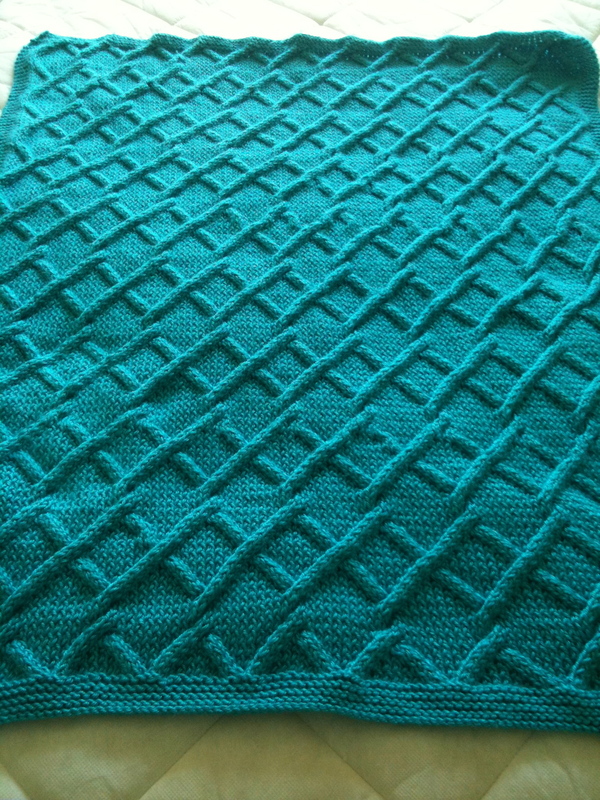 It’s another pattern I found on Ravelry, it’s a pretty design & the ease of the pattern directions made this a relatively quick knit. 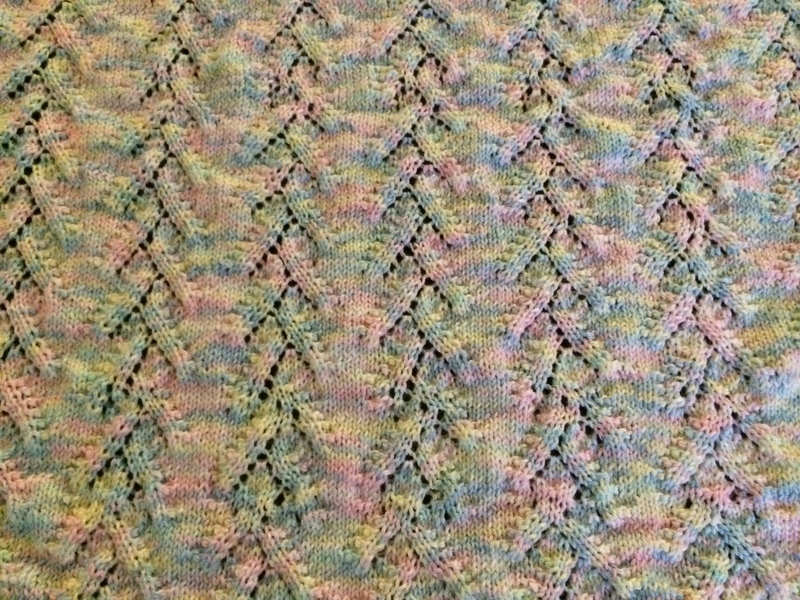 I didn’t finish knitting in time before she had the baby and it still needs blocking but since it’s acrylic, and machine washable, though I would not advise it with this pattern, she’ll still get plenty of use out of it when she receives it. Next up, I’ll be attempting to make pottery, and soon I’ll take a stab at spinning my own yarn. And of course, I’ll still be knitting and crocheting in between. I’ve been away for a little bit, busy living life and getting some work in, like this project below. The baby blanket I made for my coworker is finally done. 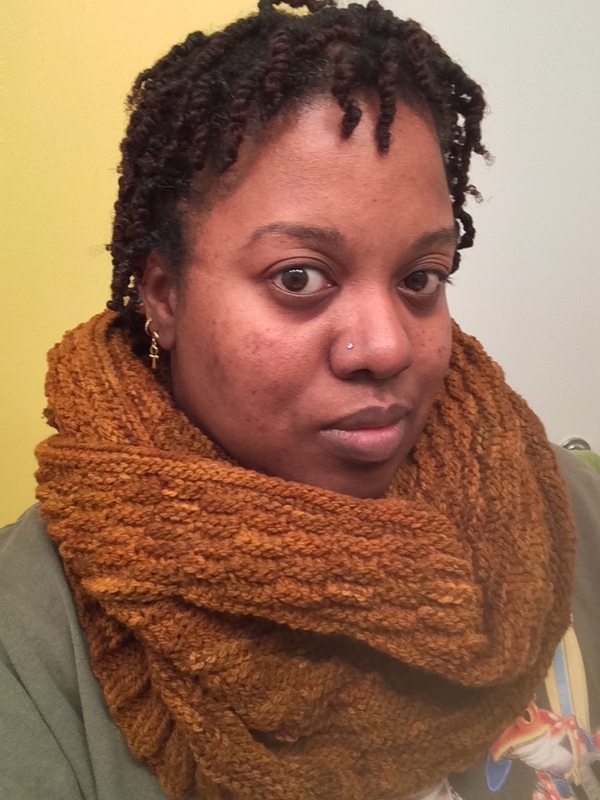 I just need to block it for shaping and sew in some ends otherwise it’s complete and ready to go. The color is not the typical baby blue, more like a turquoise, azurean blue. The shade is what attracted me to the yarn, and should have the same calming effect that studies say the color blue is supposed to have. 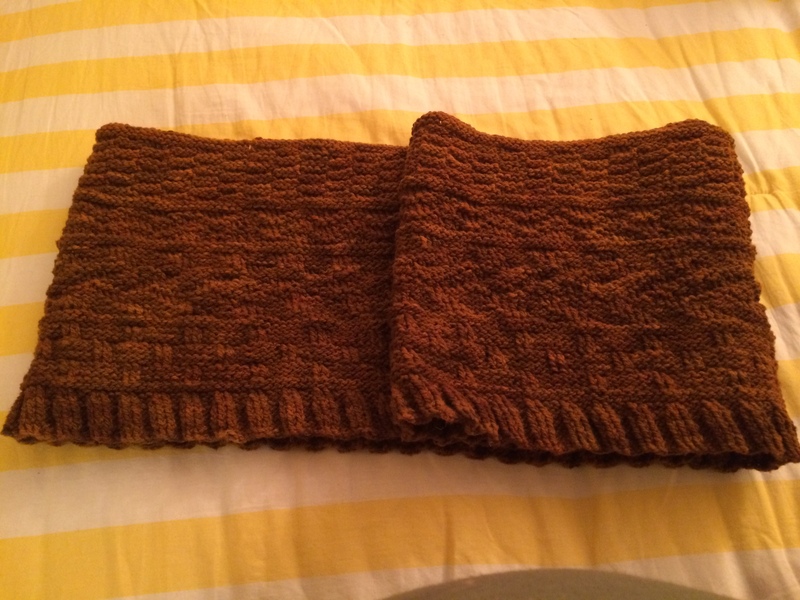 Despite the intricacy of the pattern, it was a relatively simple knit. The only skill needed was a knowledge of cables. 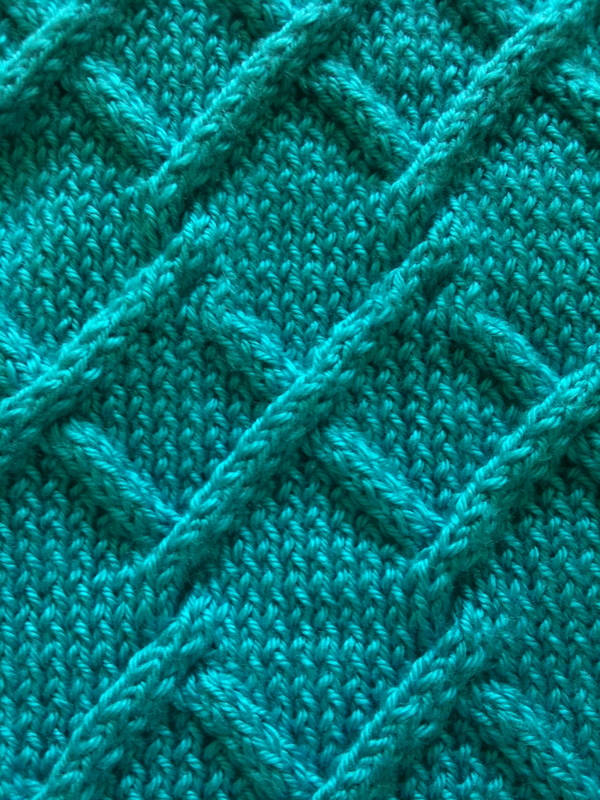 The garter stitch border around the edges gives it some contrast and helps with maintaining the shape. The yarn is acrylic which makes it machine washable and able to use year round, though the weight of the blanket alone I would find it too heavy to use in the height of summer. But anyways the recipient should get lots of use from it.